WHO ELSE IS IN THE ‘AGRIZZED’ FIRING LINE AS ANGELO AGRIZZI BRAVELY TESTIFIES? 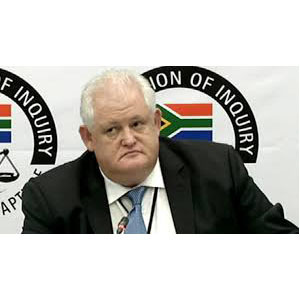 Former Bosasa COO Angelo Agrizzi has everyone talking after his testimony at the state capture commission, and in typical Mzansi style, Agrizzi catch phrases have taken over the internet. The term “agrizzed” has now become a social media favourite when discussing the Zondo commission and unrelated situations. A number of questions become very pertinent? How will the NPA respond? What kind of charges will be laid? How many of the recipients of these bribes will be found guilty and have time in jail? Will President Ramaphosa, in his quest to assure investors that South Africa is dealing with corruption in a non-negotiable ironfisted manner, pronounce on how those fingered should be dealt with. 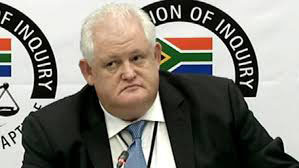 Agrizzi’s testimony and the Zondo Commission coincides with Transparency International’s recent Corruption Perceptions Index (CPI) 2018, the global coalition against corruption, and is evidence of a world that has not come to grips with burgeoning corruption. This is true for South Africa, as it continues to languish with a score of 43/100 and in 73rd position of the 180 countries included in the index, the same as the previous year, suggesting that perceptions of corruption remain high. The index, considered to be the leading global indicator of public sector corruption, ranks 180 countries and territories by their perceived levels of corruption in the public sector according to experts and business people. It uses a scale of 0 to 100, where 0 is highly corrupt and 100 is very clean. South Africa, which remains in the group of countries falling below the 50 mark, clearly needs to intensify its efforts to make serious inroads against corruption. So, Mr.Ramaphosa, here’s a question for you. We languish at our lowest level on the Corruption Perceptions Index since it was initiated…. 73/180 countries. We also have fallen to our lowest level on the Global Competitiveness Index, 67th out of 137 countries included, since it was started. Under your Presidency will that change?